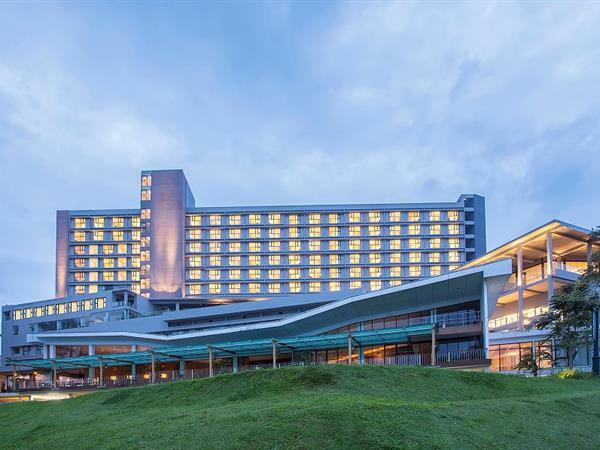 Jakarta, Indonesia (19 December 2018) – Swiss-Belhotel International recently opened its newest resort with the soft opening of Swiss-Belresort Dago Heritage, Bandung on December 12, 2018. Located in the Upper Dago area, Swiss-Belresort Dago will be the Group’s first Swiss-Belresort property in Java. The hotel is located within the Dago Heritage Golf Course complex, which was built in 1917 and is one of the oldest golf courses in Indonesia. “We identified the potential of Bandung as a place to develop our first Swiss-Belresort in West Java. Business and tourism are developing fast in the city with a number of impressive new buildings already under construction,” said Emmanuel Guillard, Swiss-Belhotel International Senior Vice President of Operations and Development for Indonesia, Malaysia, Cambodia. “Bandung is also easily accessible with various transport options from Jakarta and some other cities in Indonesia, especially with an airport to serve local and international direct flights to the city,” he added. “In addition to Bali and Java, we are also planning more Swiss-Belresort projects and openings in other destinations around Indonesia, including Belitung Island,” said Swiss-Belhotel International’s Chairman and President Mr. Gavin M. Faull. “The Swiss-Belresort brand is designed to provide visitors with value for money resorts in the best destinations, and to offer international standards of service and facilities with easy access to an appealing choice of recreation and leisure options,” he added.